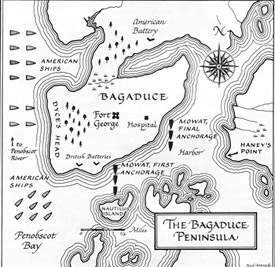 Caribou, ME – Lafayette St.
Saco, ME – Lafayette St.
Waterville, ME – Lafayette St.
Yarmouth, ME – Lafayette St.
After the dramatic failure of the “Penobscot Expedition” of the continental army (July 24/August14, 1779), around the mouth of the Penobscot and Majabigwaduce Rivers at what is today Castine, ME. 474 killed, wounded, captured or missing and all ships lost (19 warships and 25 support ships.) The « United States » worst naval defeat until Pearl Harbor 162 years later in 1941. 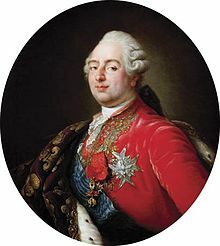 BUT THE SITUATION CHANGE when L’Hermione under the command of Lieutenant de Latouche arrive in Boston on April 28, 1780, carrying General Lafayette and the secret news that he had secured French reinforcements (5,500 men and 5 frigates) for help George Washington and the American Revolutionary War. spending a month all told in the region. From August 21 to August 24. Heading north from Staten Island, NY he stopped briefly in New Haven, Conn., Providence, R.I., Stoughton, Mass., and Boston, Mass. On August 25 He arrived in Cambridge, Mass. He then visited familiar places: Philadelphia, Delaware, Virginia. He spent some time in the new capital, Washington, D.C. then south to Maryland, the Carolinas, and Georgia. He turned west to see the new states of Alabama, Mississippi, and Louisiana, then up the Mississippi River in a steamboat to Missouri, Tennessee, Kentucky, Illinois, Indiana and Ohio. Then he traveled back through Pennsylvania to New York, where he saw Niagara Falls and went to Albany by way of the Erie Canal. From Albany, he traveled straight to Boston. 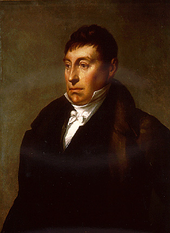 On June 22, Lafayette spent the night in Dover, N.H.
That night, a delegation of citizens from South Berwick, Me, invited him to breakfast and propose him to visit their state. He accepted. June 23 – Lafayette crosses into Maine at 8AM via South Berwick, ME and spent the day in Saco, ME and Biddeford, ME. The Spring’s Island Tavern was a popular stopping point for travelers on the Kings Highway (now Elm Street/Route 1). It was here that Spring entertained General Lafayette on his 1825 tour into Maine. June 24 Lafayette stops in Scarborough, ME at 7AM and then at 9AM was welcomed at Portland, ME by Maine governor Albion Parris, Bowdoin College President William Henry Allen, Henry Wadsworth Longfellow’s father Stephen Longfellow. On June 28, Early in the day, he crossed over the Cornish Bridge to Vermont, passing through Woodstock, VT late in the morning, then took a stagecoach over the mountains to Barnard, VT, and Royalton, VT Randolph, VT and Barre, VT. He spends the night in Montpelier, VT at The Pavilion. On Wednesday, June 29, 1825, he left Montpelier, VT for Burlington, VT his last stop in New England.